Today, I am humbled to become the Superintendent of Northfield Public Schools. It is an honor to serve the students, staff, parents, and community of Northfield in this capacity. Despite that excitement, we had a tough goodbye yesterday. 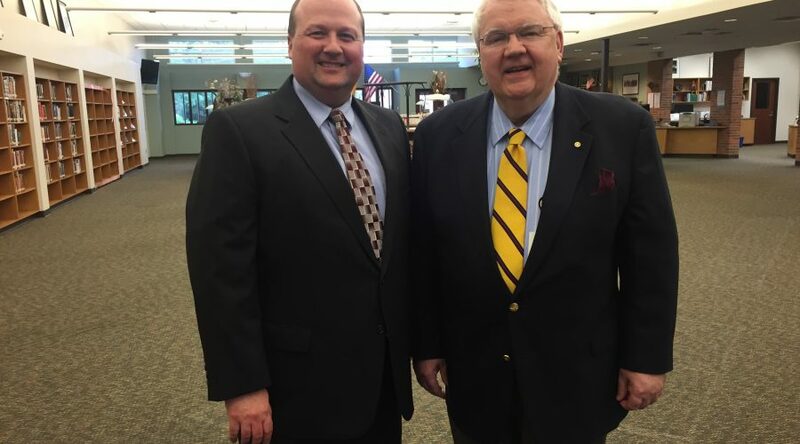 Dr. Chris Richardson finished his storied 46-year career as an educator and 35 years as a Superintendent in the Upper Midwest – serving school districts ranging from a few hundred students to a school district with more than 20,000 students. Our administrative team’s joke is that Dr. Richardson has forgotten more about school leadership than all of us will ever remember. Dr. Richardson is a consummate professional who focused on serving all students. His passion for equity in school finance, ensuring our students learn from high quality educators, and that we focus on stewardship of the public’s resources will long impact our leadership team and our community. Chris would be the first to say that we need to keep moving forward as a school system. Our commitment to the continuous improvement of our organization is steadfast. We will build on the excellent leadership legacy that Dr. Richardson built during his 12 years in Northfield. Chris will be staying in Northfield and we look forward to seeing him around town. Thanks, Dr. R., for your great work. You will be missed!